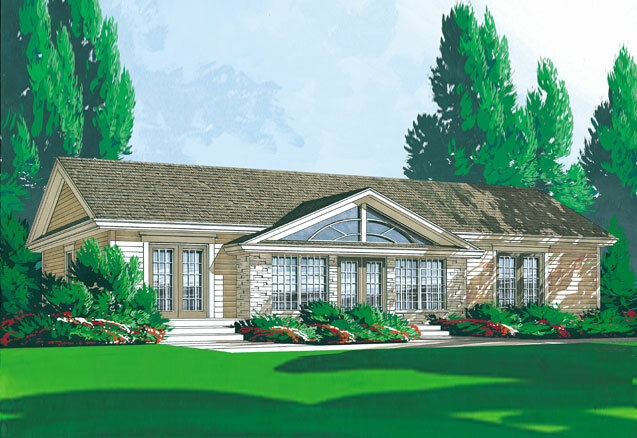 The Lakefield is a stunning vacation bungalow with ample windows to take advantage of your country or lakefront views. 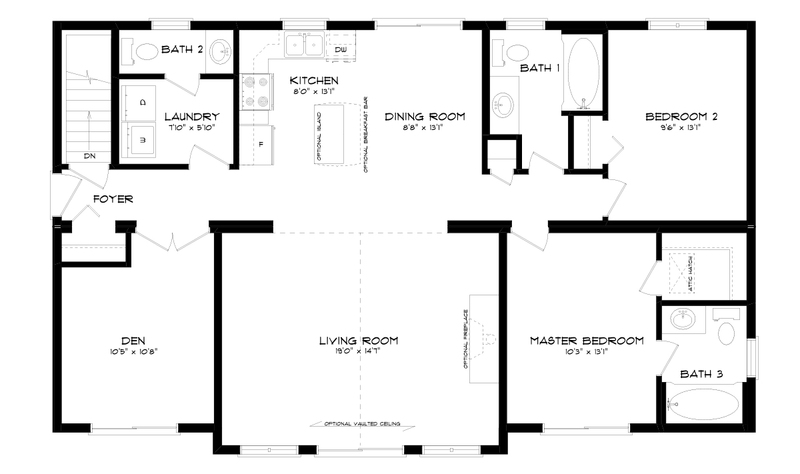 The flexible floor plan allows for three bedrooms or two bedrooms with a home office. The Lakefield’s beautiful living room with soaring vaulted ceiling is comfortable and roomy. The open concept kitchen has room for an optional island or breakfast bar, and the combined dining area off the kitchen is close by for meal set-up and after dinner games.